EVERY 20 minutes, a parent is told their child has autism - a developmental disability impacting 1:68 children with a "spectrum" of symptons ranging from mild to severe. It impacts your community, your friends, your neighbors, coworkers and loved ones. Autism is a disorder that impacts an individual's communication, social, and behavioral abilities. Autism is for a LIFETIME, so we need YOU! When you participate in the Autism 5k Run & Walk, YOU ADVOCATE, YOU EDUCATE, YOU SUPPORT needed PROGRAMS to create a higher quality of life for individuals with autism. REGISTER to #DOIT4AUTISM today! P.S. ALL mony raised here, stays here! Autism is a disorder that affects communication, social, and behavioral differences that can range from mild to severe, and impacts the entire family. 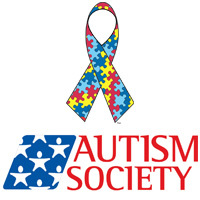 The Autism Society of Greater Akron (ASGA), a health and humanitarian organization, is an affiliate of the Autism Society of America working locally to implement its mission --to improve the lives of all affected by autism – in Medina, Portage, Stark, Summit, and Wayne counties (OH).